Baltic Oak Taupe - ..BO002H-6505. Aged Honey Oak - MH06. Blanched French Oak - SM03. Classic Aged Oak - SM05. Cutting Board Stripes - SC02. Dark Knotty Oak - BL10. Distressed Dark Oak - MH08. Grassy Creek Maple - BL03. Merrick Dusk Oak - SM02. Rustic Kingnut Hickory - SC01. Sand Washed Pine - BL09. Standard Dark Maple - SC04. Well Seasoned Oak - SM01. Honey & Oats - 34. Alpine Oak White - 526 710..
Athos Achat - 523 157..
Athos Concrete Grey - 528 653..
Athos Lava - 523 162..
Athos Polar Grey - 523 163..
Athos Sahara - 528 521..
Athos Savanna - 528 651..
Attika Ferro - 528 658..
Attika Terra - 528 656..
Oak Italica Smoked - 530 333..
Oak Portland Grey - 533 139..
Papyrus Natural - 523 169..
White Oak Sand - 1123. Historic Oak Charcoal - 22102. 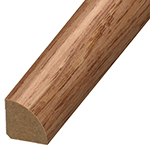 Sterling Asian Oak - 5967. 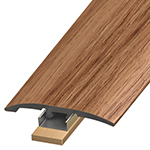 If you've been asking: "Where can I find the trim pieces to coordinate with my new laminate floor?" you've come to the right place. 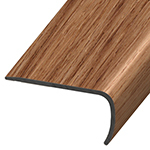 Versatrim Inc.'s innovative approach to molding solutions and its ability to coordinate with most of the top colors in the laminate flooring industry have guided the company to the forefront as a leading manufacturer of laminate moldings. 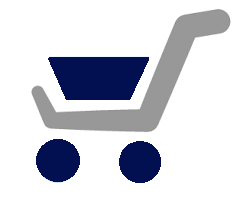 Versatrim provides flooring manufacturers, retailers, distributors, installers, and yes, even the end consumer with high quality moldings at reasonable prices. With coordinating laminate decors for big brand names like Shaw, Mohawk, Mannington, Quickstep, Armstrong, Bruce, Kronotex, Witex, Columbia, Pergo, and Alloc among others; Versatrim makes it easy to find first-rate coordinating molding for almost every laminate floor. 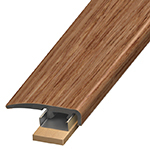 Versatrim now offers a variety of molding solutions to accommodate applications for vinyl, laminate, engineered wood, and solid wood. 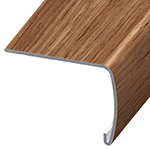 Versatrim’s list of profiles now include two new PVC moldings for LVT floors, and their standard laminate T-molding, Reducer, End Cap, Stair Nose, Wall Base, and Quarter Round profiles. Versatrim takes the guesswork out of the equation by providing customers with color samples to ensure success of their flooring project. Versatrim makes it easy to find molding that coordinates with your new beautiful floor! Copyright Versatrim, Inc.. All Rights Reserved.